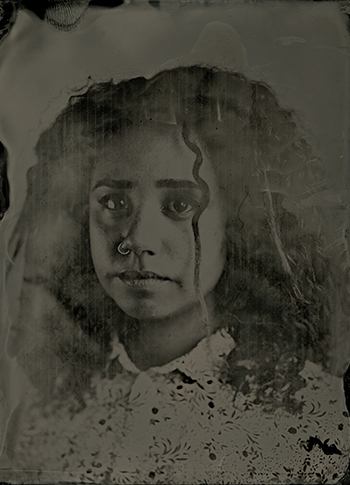 For these vintage portrait workshops on 19th century collodion tintypes, Autograph’s meeting room and hallways were converted to a make-shift darkroom and photographic studio with two large lights, stage chair complete with head clamp to hold sitters still for their portraits to be taken. 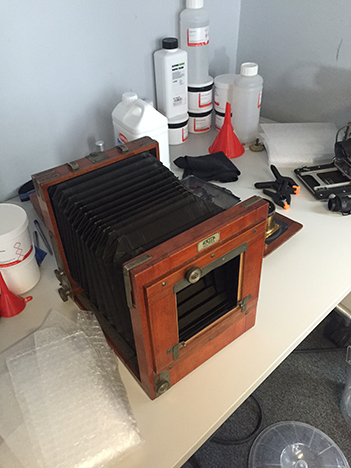 Several bellow field cameras, including an original L.F. Deardoff and Sons Inc. 8×10 plate large format wooden plate camera, were mounted on a tripod. 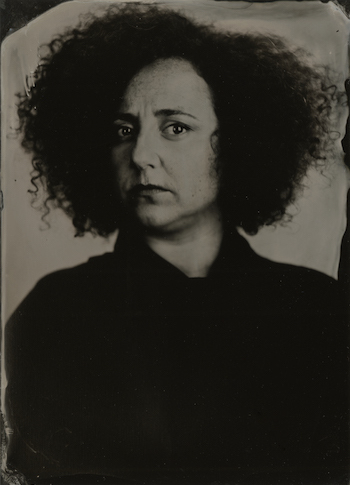 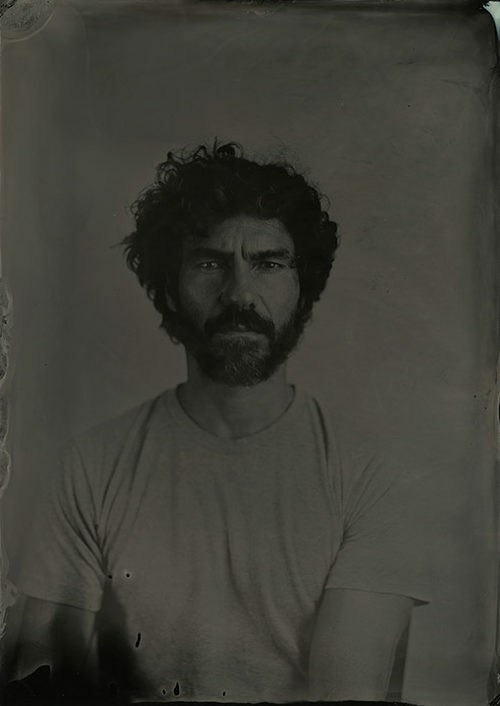 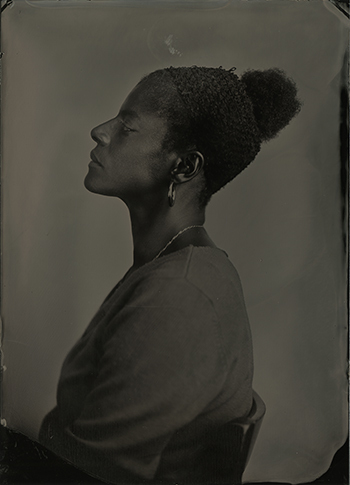 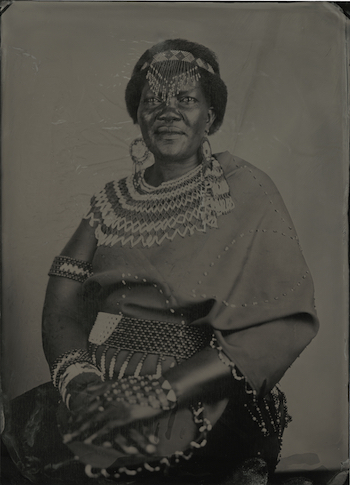 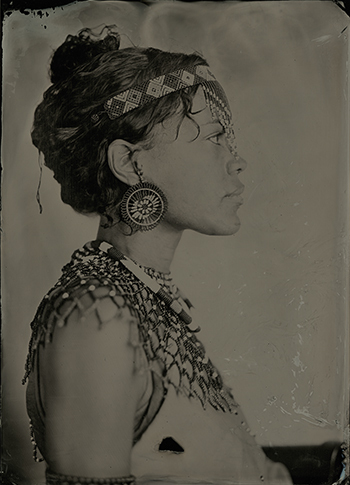 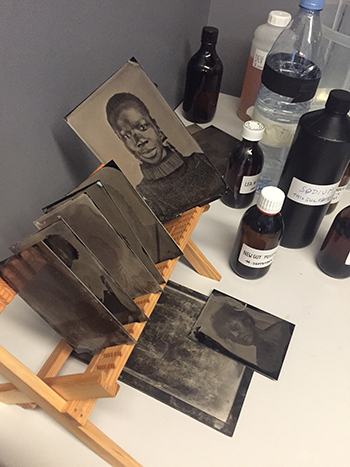 Over three days, a range of participants engaged in a hands-on, organic workshop lead by professional photographers and tintype specialists Riccardo Cavallari and Jacopo Emiliani, resident at the gallery for the three days from Italy. 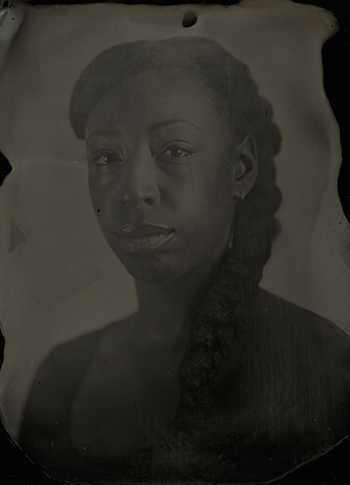 With two days of closed sessions for invited groups and one day open to 15 members of the public, sitters/participants cut across a diverse spectrum, from members of Autograph’s team and the The Missing Chapter Collective (a group of young creative practitioners), invited community elders from the Afro Caribbean Forum, 6th form photography students and several women from a trafficking support group who dressed as members of the 1891 African Choir. 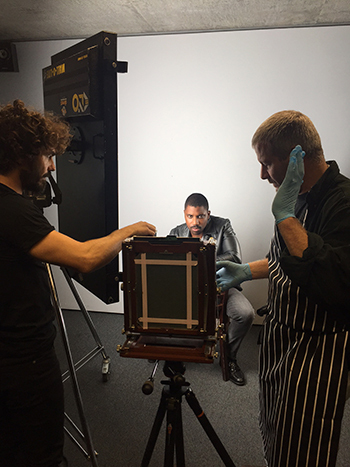 With over 100 tintype portraits taken in the 3 days—this event produced a remarkable image collection to be added to Autograph ABP’s digital archive. 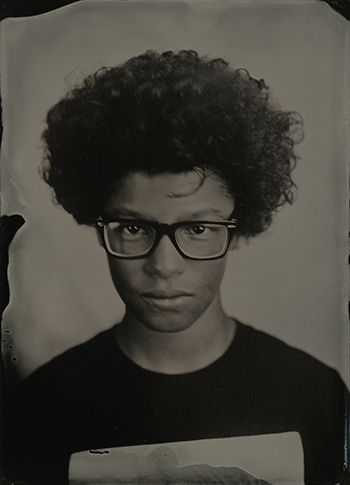 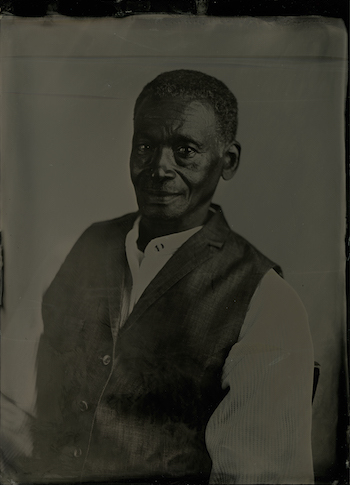 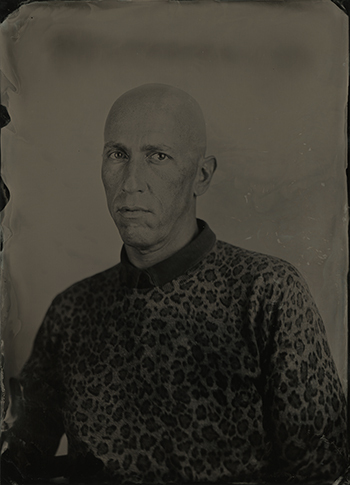 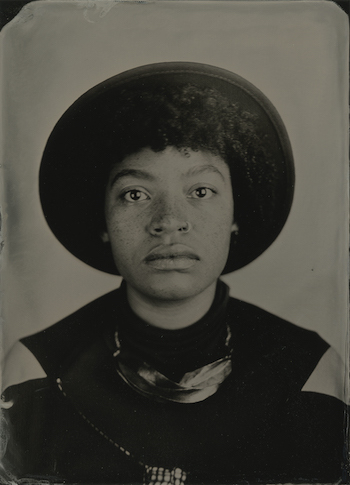 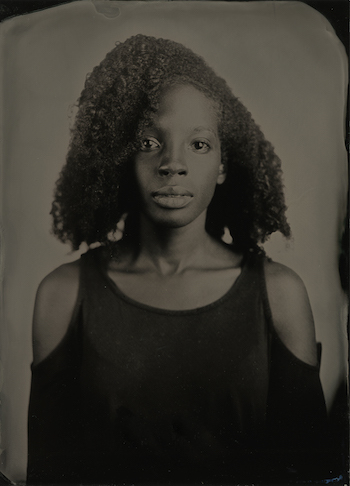 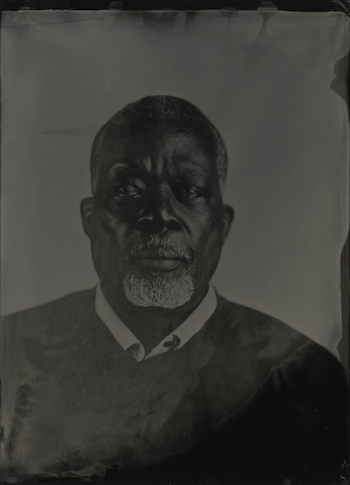 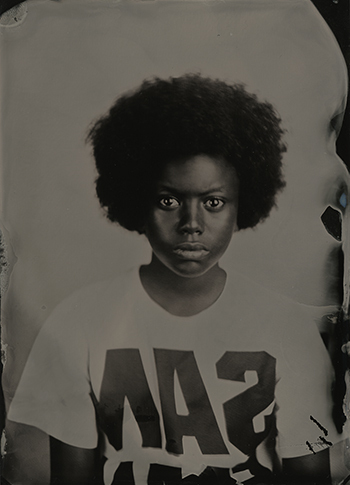 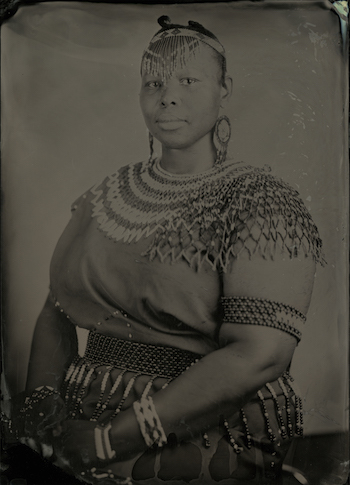 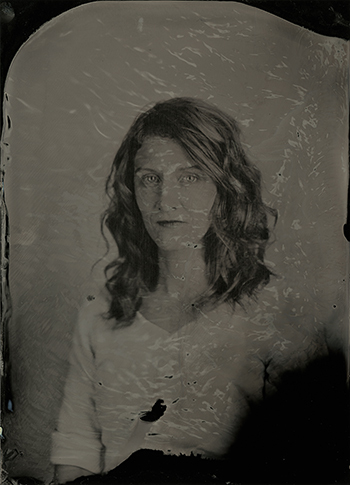 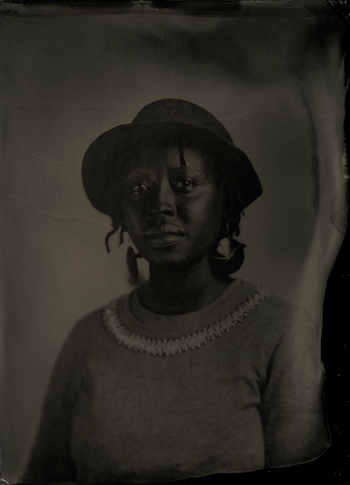 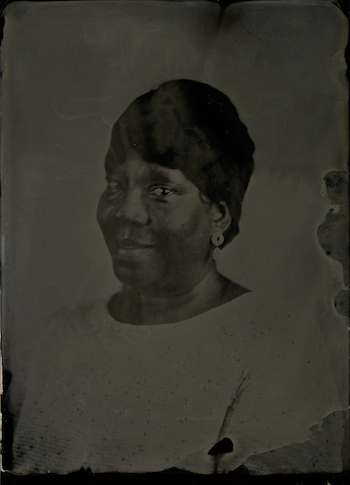 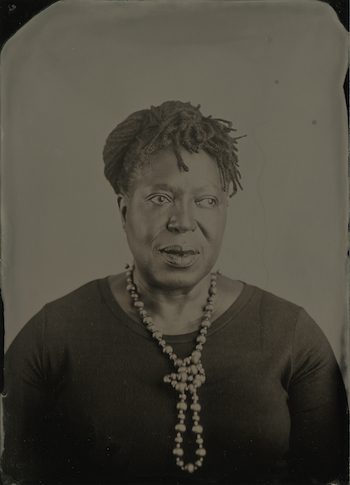 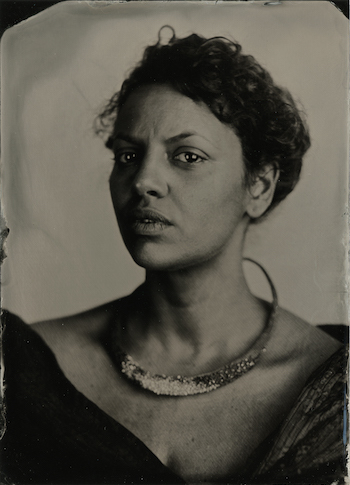 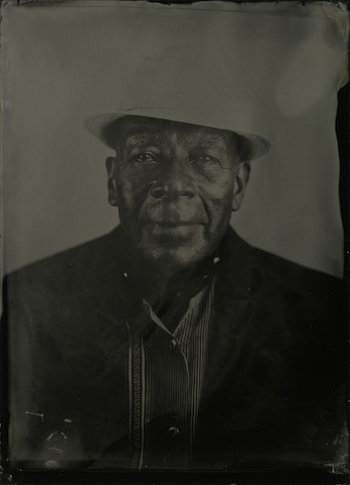 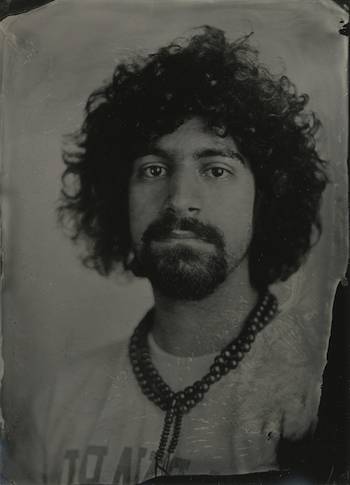 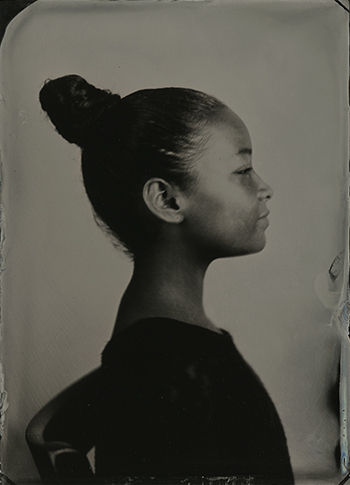 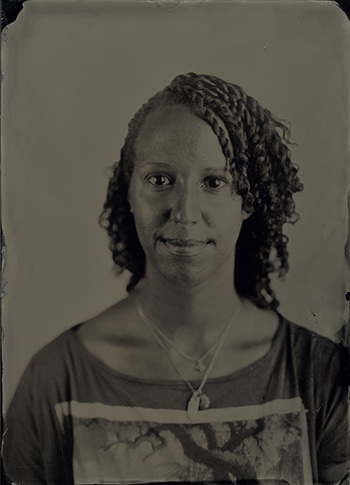 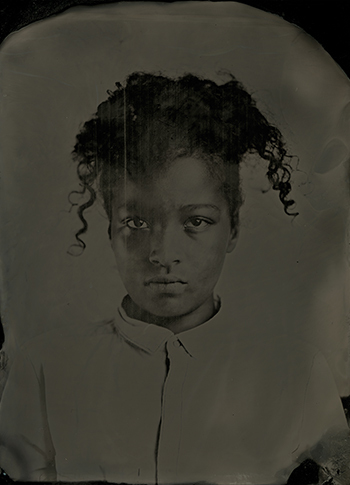 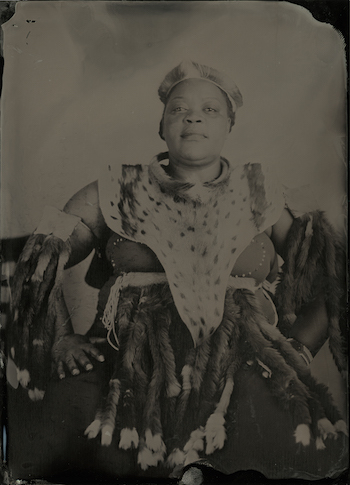 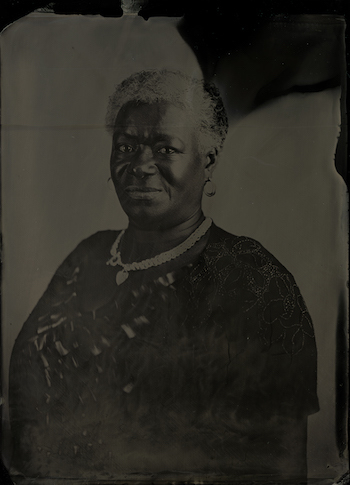 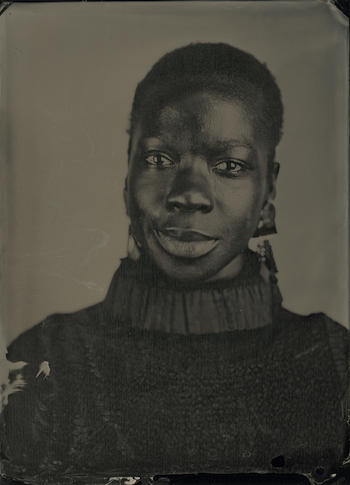 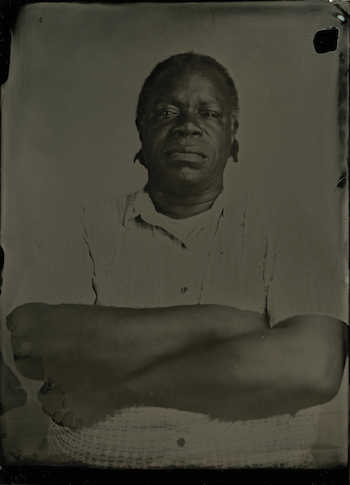 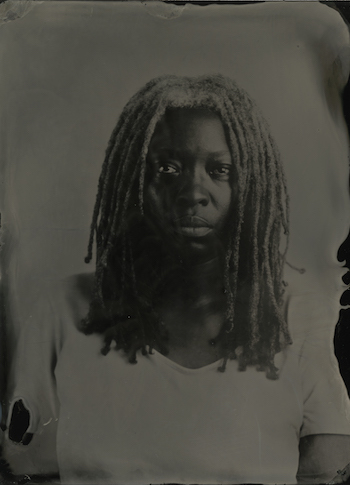 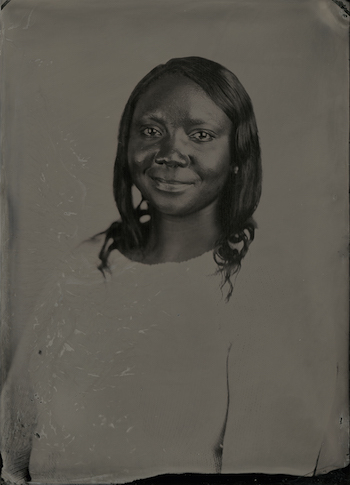 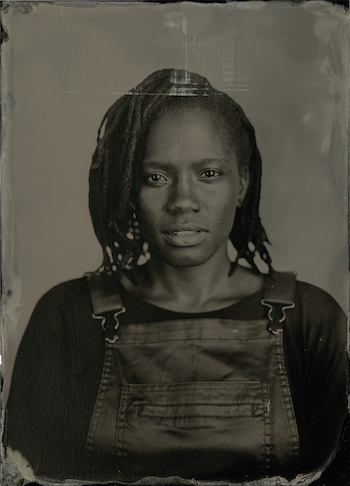 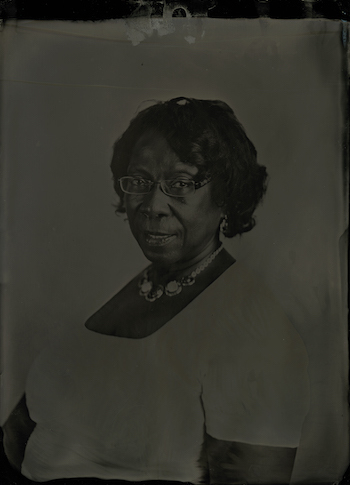 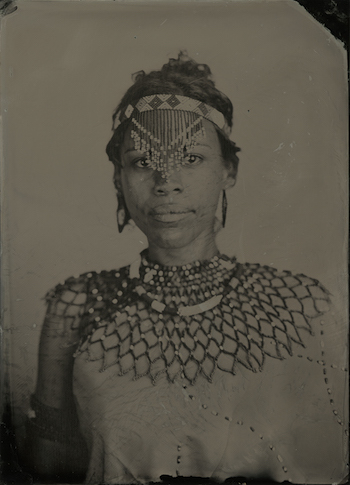 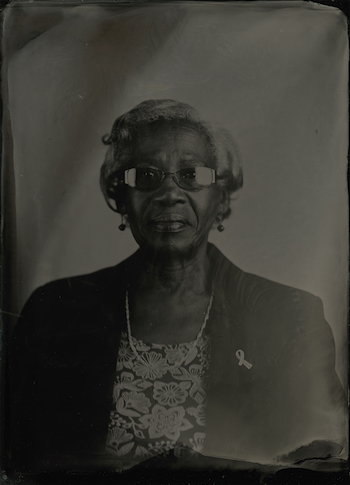 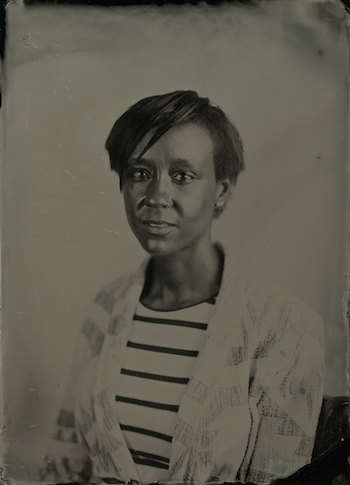 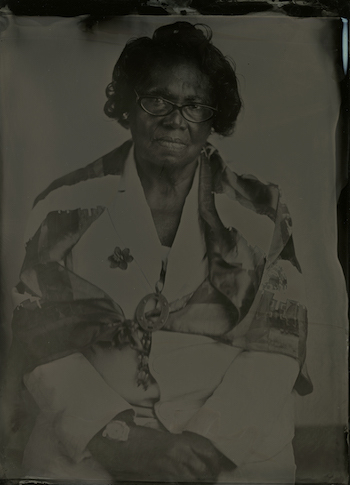 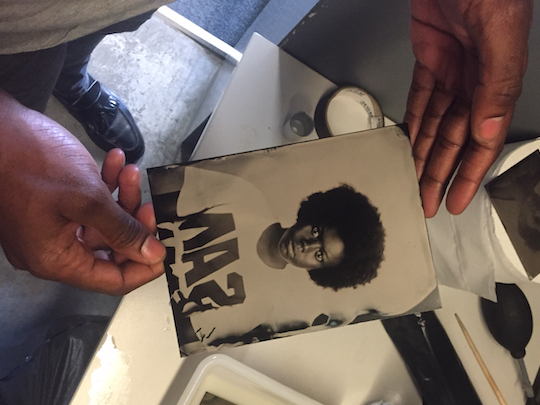 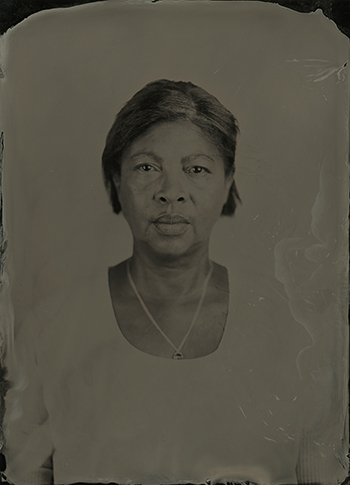 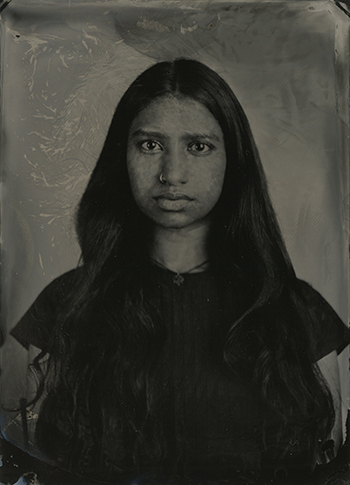 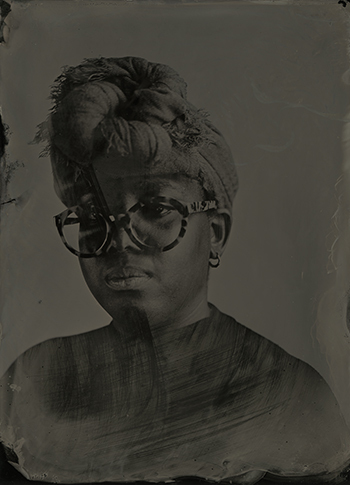 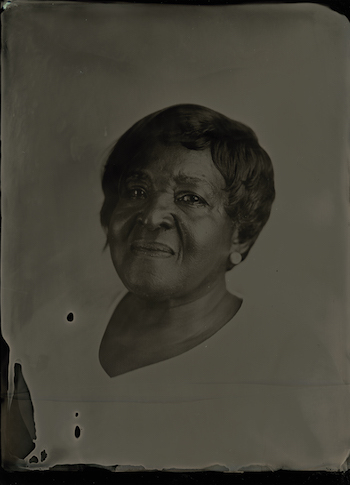 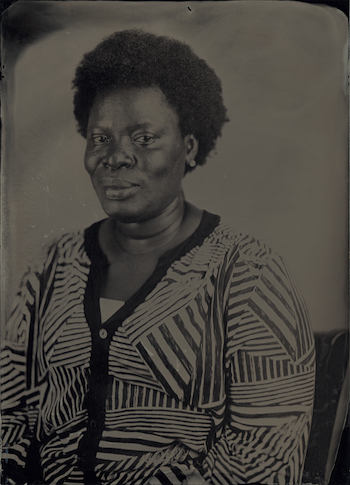 Participants were given their own tintype portrait to take home. 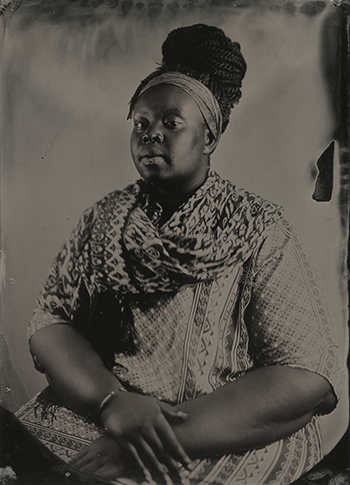 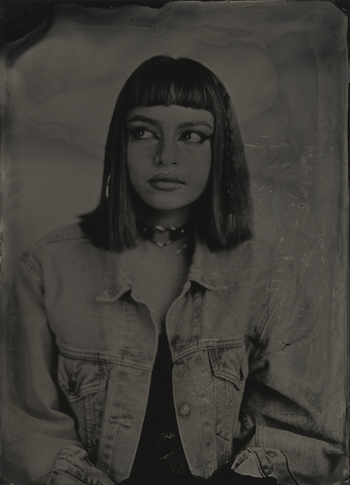 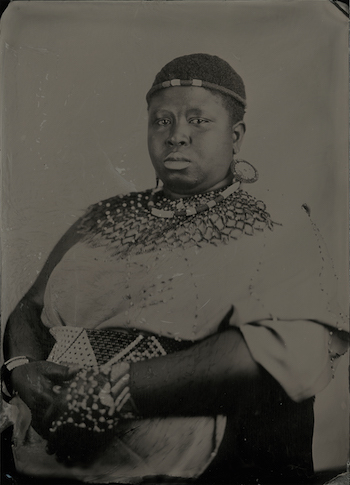 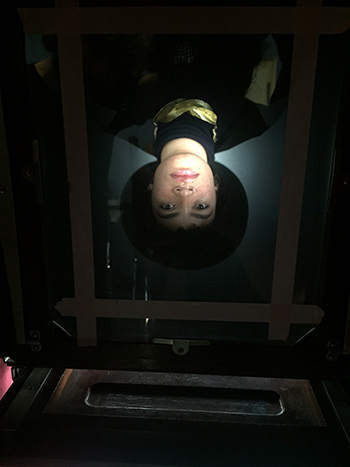 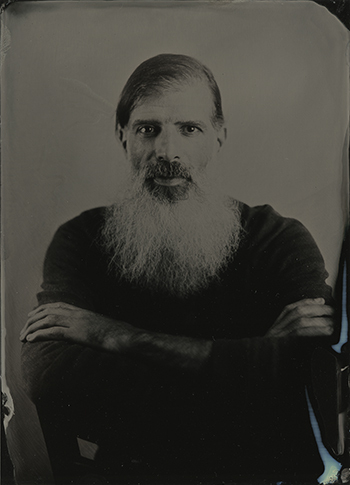 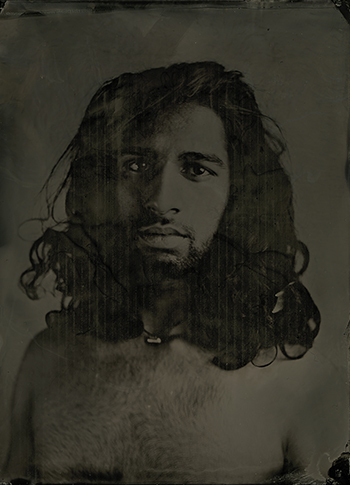 Participants were introduced to the technique of tintype portraiture, a process invented c. 1860. 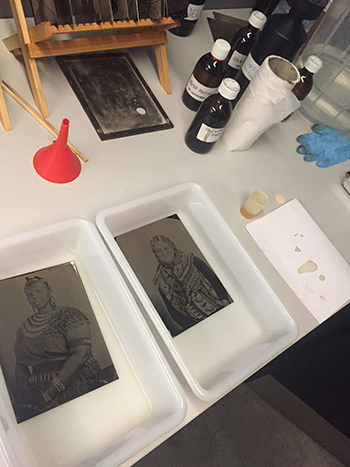 After taking images on the Deardoff camera, the tintypes were developed by pouring the collodion over the sheet and sensitising the black lacquered aluminium sheets in a darkroom. 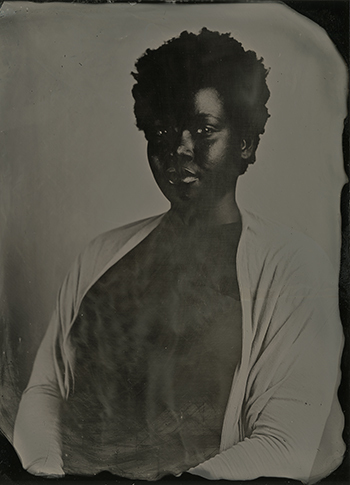 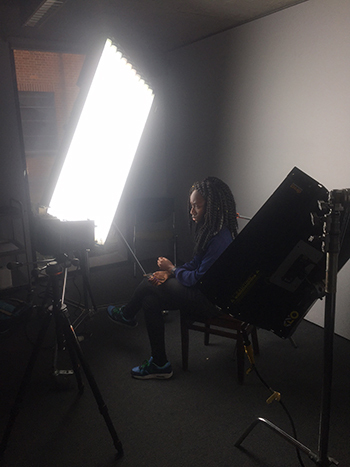 Each participant had the opportunity to take on the role of both photographer and the sitter—staying entirely still for the up to 7 seconds of exposure. 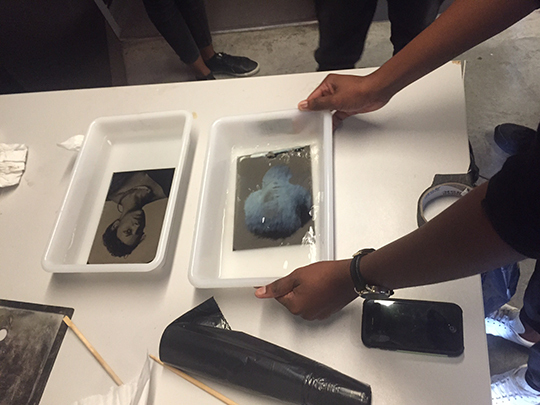 Culminating the session, Riccardo and Jacopo demonstrated to the participants the process of varnishing their images to avoid deterioration.